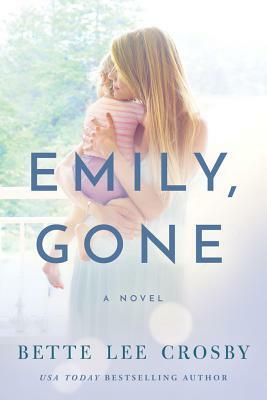 Lake Union Publishing, 9781542044929, 398pp. A missing child sets the lives of three women on a collision course in this powerful and compelling novel by USA Today bestselling author Bette Lee Crosby. When a music festival rolls through the sleepy town of Hesterville, Georgia, the Dixon family's lives are forever changed. On the final night, a storm muffles the sound of the blaring music, and Rachel tucks her baby into bed before falling into a deep sleep. So deep, she doesn't hear the kitchen door opening. When she and her husband wake up in the morning, the crib is empty. Emily is gone. Vicki Robart is one of the thousands at the festival, but she's not feeling the music. She's feeling the emptiness over the loss of her own baby several months before. When she leaves the festival and is faced with an opportunity to fill that void, she is driven to an act of desperation that will forever bind the lives of three women. When the truth of what actually happened that fateful night is finally exposed, shattering the lives they've built, will they be able to pick up the pieces to put their families back together again?